Compression Therapy stimulates the body’s recovery process and is used by top athletes throughout the world. 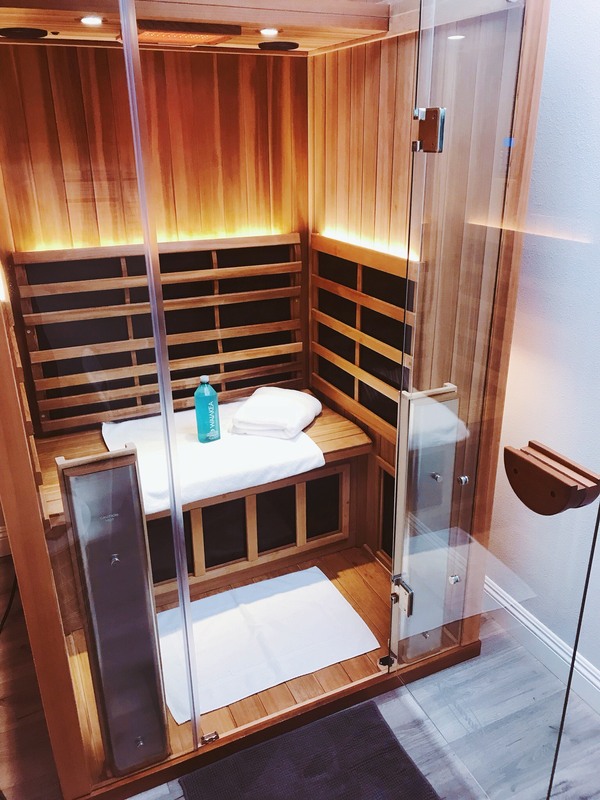 While a traditional sauna heats the external air around, an infrared sauna penetrates into your body and raises your internal body temperature. Our infrared saunas provide a more comfortable experience that relieves a wider range of health concerns than traditional saunas. Infrared is gentle, soothing and therapeutic heat that promotes relaxation and improved sleep. Greatly appreciate them for everything they’ve done on my first visit. Can’t wait to go back. Jorgihno S.
I’m finally getting a chance to share my long overdue review. There are not enough words to describe how grateful I am to have found this place. Since my first visit last year, I’ve experienced the amazing benefits of cryotherapy. It might sound cliché but I’ve noticed the biggest difference by making it a part of my pre & post workout regimens. I also get the cryotherapy facial – oh my goodness, the results are great (especially paired with a lymphatic massage). I really appreciate the entire cryotherapy team for their patient care throughout the entire process. I’m a sucker for amazing professional service, so I wouldn’t be coming here if it were anything short of that. La T.
The staff here are extremely knowledgeable, professional and friendly especially Vic and Aida! My boyfriend and I came here to relieve some soreness from head to toe. It is fascinating what 4mins in the chamber can do! The cryo facial eliminated my acne breakout, diminished some pores, got rid of my headache and it was absolutely relaxing. One time, they offered $20 for the chamber and $20 for the cryo facial. The laminate floors they installed is modern and definitely an eye catcher. They have rooms to change. Shoes, gloves and robe are provided during cryo chamber visit. 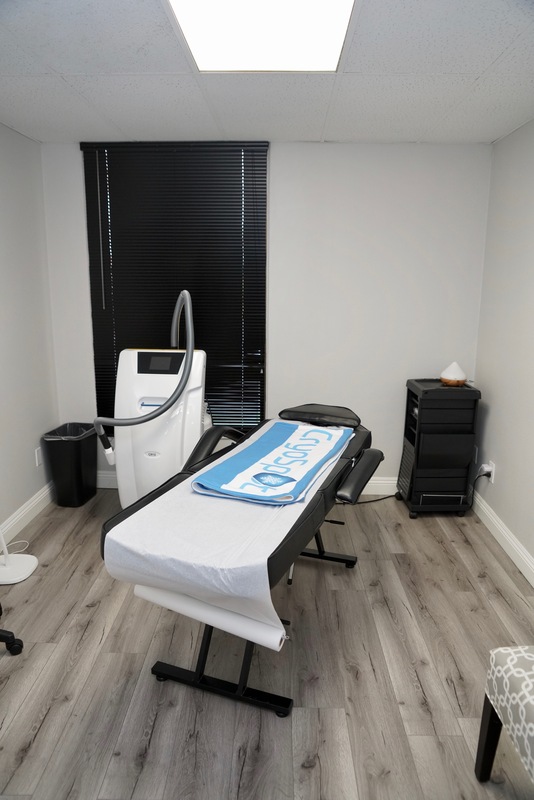 Cyro compression therapy is also offered for the human body located inside a room with smart tv installed so you are distracted during this therapy. This space is clean with plenty of parking! Come here for any treat to your body, whether it’s for after a surgery, sports related injury or non surgical cosmetic needs! We can’t stop telling our friends, clients and family about cryospot! Mary D.